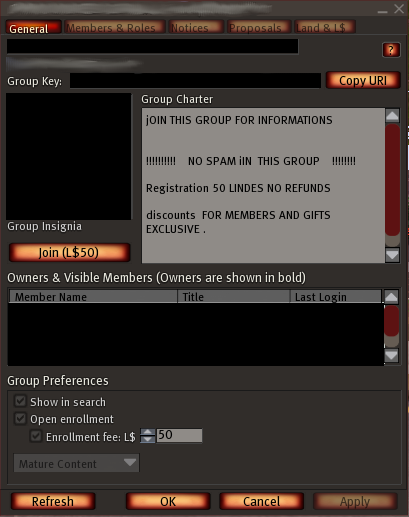 “Spam Bot* ( Spam Bot) has invited you to join a group. To join this group, you will have to pay a signup fee of L$50. !!!!!!!!!! NO SPAM iIN THIS GROUP !!!!!!!! Even on the metaverse, you need to keep your eyes opens! * SpamBot is a ficticious name. This entry was posted in Start and tagged Fake Gifts, Fake Groups, Spam, Spam Bots, Spam Groups on February 5, 2012 by Xpontaneus.